As the autumn season approaches, we begin to mourn the passing of the long hot summer days. Fall, according to Traditional Chinese Medicine, is considered lung season making us vulnerable to chills and colds at this time of year. Temperatures can fluctuate wildly during these transitional months, so it’s wise to protect oneself by dressing in layers to accommodate these variations. Keeping our feet, kidneys and neck warm is very beneficial because when one is chilled, it stresses the body and depletes vital energy. Protecting kidney energy, (which tends to be low during the long cold winter months), is helped by keeping the feet warm. Have you noticed if your feet are cold, your entire body feels cold? [custom_frame_left] [/custom_frame_left] I love using hot packs that can be warmed in a microwave (the only possible use for a microwave in my opinion). There are booties, neck and body packs that can be such a comfort to take the chill off. Warm Epsom salts baths are another soothing way to ward off colds and flus or simply relax before bed. My favorite suggestion for those living in frigid winter climes is to invest in a pair of Ugg style slipper or low booties. You will never have cold feet again. Guaranteed! As we transition into the cooler months, you may notice you begin to crave soups, stews and hot teas. The plethora of winter vegetables available at this time of year supply us with nutritious root vegetables that make for the foundation of nourishing cold weather meals. I take my lead from the Japanese by enjoying a comforting bowl of hot soup for breakfast. It’s delicious and incredibly satisfying. Another favorite addition to my morning meal is a mug of homemade ginger tea. Ginger is truly one of the most ubiquitous and medicinal spices around. 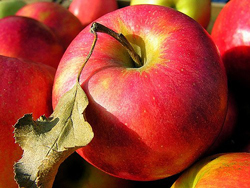 It can be paired with both sweet and savory foods and has powerful anti-inflammatory and anti-viral properties. Other warming spices such as curries, cayenne and black pepper, along with cinnamon, and cloves are wonderful foods flavors that can be included into daily food preparation. I hope you’ll incorporate some of my favorite wellness tips for enjoying a smooth transition into the fall and winter months. Here are 2 recipes to keep you warm and healthy this season. 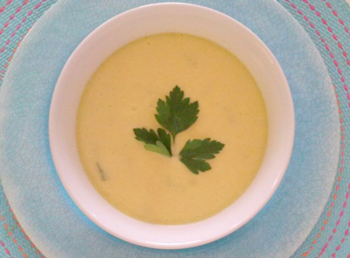 Making this soup is so easy when you use frozen organic butternut squash. It’s a perfect winter soup with the comforting and warming flavors of ginger, garlic, lemongrass and cinnamon. We often have this for breakfast with cubed avocado, nori strips for extra nourishment. 1. In a soup pot, sauté onions, garlic, ginger, lemongrass, curry powder, celery and salt in coconut oil over medium-heat until onions are translucent, stirring frequently. About 10 minutes. 2. Add cinnamon, yellow squash and butternut squash and sauté and additional 10 minutes, stirring frequently. 3. Add water and bring to a gentle boil. Cover and reduce heat. Add coconut milk and simmer for 10 minutes. Turn off heat. 4. Puree soup to a creamy consistency and return to soup pot. 5. Add green onions and cilantro and serve immediately. Ginger is one of the most ubiquitous spices in the world. It’s a great anti-inflammatory, anti-nausea and cold relief remedy. 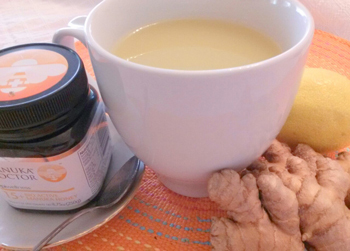 Try to look for organic ginger for this recipe. The proportions are not fixed so use this as a guideline to make this ginger concentrate. You can add lemon and a spoon of Manuka honey or stevia powder to sweeten if desired. I like to make a lot so I can enjoy a quick mug any time I want something warm to drink. 1. Place ginger and water in a high speed blender and blend on high until ginger is purred. Strain if desired. 2. Pour ¼ cup of concentrate into a large mug and cover with hot water. 3. Pour remaining concentrate into a glass jar and refrigerate. This will keep for 5 days.